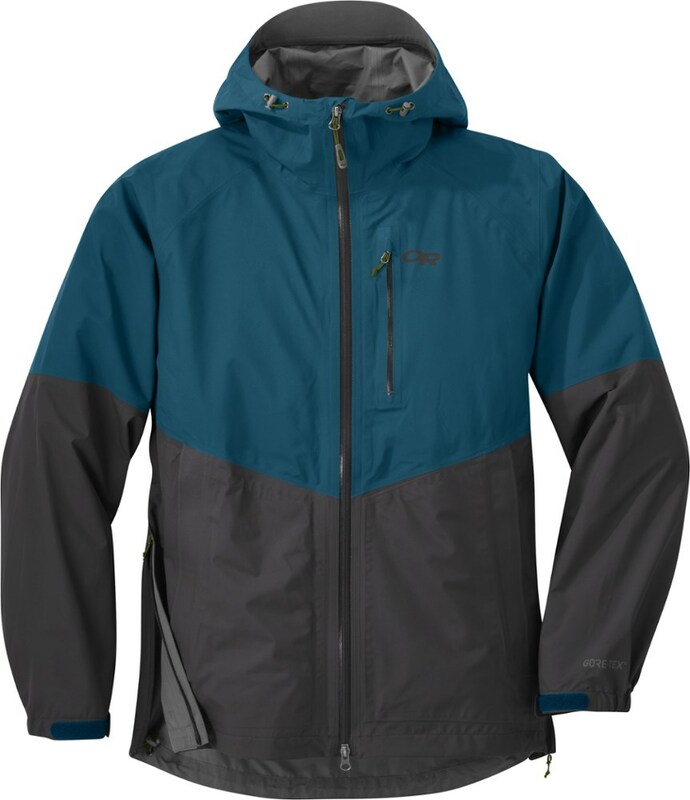 Didriksons EVA Rain jacket is a durable, lightweight, and inexpensive for people on a budget, but who are still in need of a proper raincoat. I am a Dane, meaning I live in Denmark. Denmark is known for two things Hans Christian Andersen and rain, some Danes will tell you that unlike other countries that have four seasons, Denmark only has one: Rainy season. 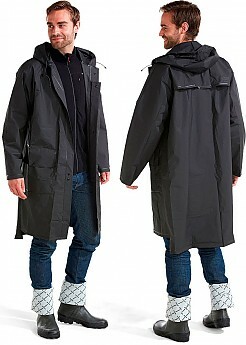 It goes without saying that wet weather gear is an essential part of every Dane's arsenal of clothes. Despite of this I have actually never really cared for rain wear. I never liked wearing it. But after experiencing what it's like to be out in a real downpour without clothes to keep out the water, I decided it was time to get me some rain wear. After spending a considerable amount of time searching the web my choice fell on the EVA, mainly because of the price as it only cost me 142 Danish Kroners (25 USD). I also knew that Didriksons were known for making quality rainwear. The jacket is a knee length, Trenchcoat sorta thing. The first thing I noticed was the apparent thin material it was made of, but also that the seams were all welded in high quality. 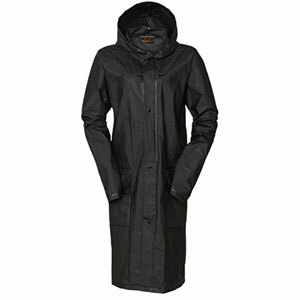 The jacket features two pockets placed on the hips, which close with buttons. The jacket closes with double buttons (which seem quite flimsy) ensuring that water doesn't come through the front of the jacket. There is a generous hood that can be tightened around the face. The cuffs can be tightened with buttons. Lastly there's actually is ventilation in the form om holes in the back of the jacket, covered by extra flaps of material. 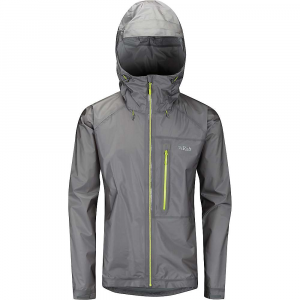 Yesterday was the jacket's baptism by fire as I ended up in a summer thunderstorm featuring storm force winds, 25 mm. of rain, thunder and lightning. I had to walk 6 kilometers to the hospital, getting lost on the way, and the entire time I was wearing my EVA jacket. It performed phenomenally, considering the price. It kept me dry all the way, but my shirt did start to get moist after a while, which I presume is because of the thin material its made of. I was also wearing a backpack which really didn't have a positive effect on the ventilation making my back wet with sweat. 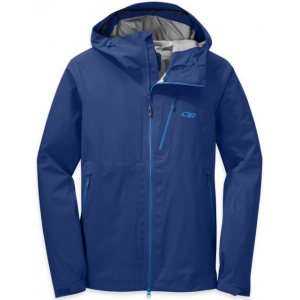 In conclusion, this is a quite stylish and excellent jacket for the price, especially from a company like Didriksons whose products are usually priced much higher. 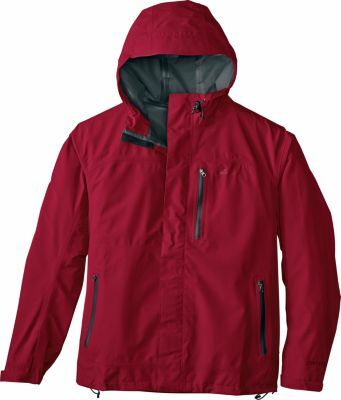 The jacket seems quite rugged and will keep you dry, but this is not for continuous use. 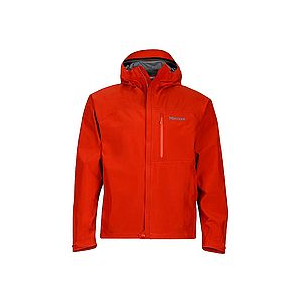 You should keep this in your trekking pack for "emergency" situations where rain wear is only absolutely necessary. 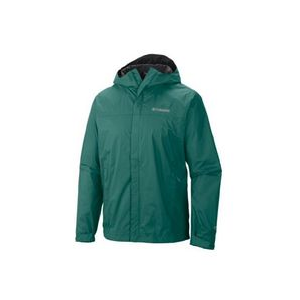 This is made for everyday use where you are only in the rain for a short amount of time. The Didriksons EVA Jacket is not available from the stores we monitor.